Celebrity doctors? I got to know one up close. Mt. Sinai Hospital early 1900’s. Upper East Side. 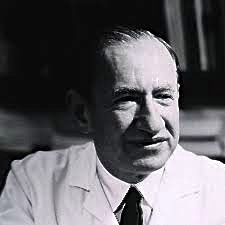 Charles K. Friedberg was Clinical Professor of Medicine at the Mt. Sinai Hospital and School of Medicine in New York City during the 1960’s until his death in a car accident in 1972. He was also the most famous cardiologist in the world, being the sole author of Diseases of the Heart, the “bible” of cardiology—–a textbook of over 1,000 pages that was translated into 6 languages. He was the Chief of the Cardiology Department at “Sinai” when I took my cardiology residency there. Dr. Friedberg was famous not only as an author, scholar, editor, researcher and teacher, but also as a brilliant clinician, so it was a great privilege to make rounds with him at the hospital. “CKF” was the man to see if a patient had a problem that no one could solve. Many of his patients were captains of industry and celebrities, but they all deferred to him as they lay in their hospital beds, literally looking up to him. I recall rounding on Gus Levy, the president of the New York Stock Exchange, and seeing this extraordinarily important man chatting amiably with Dr. F. and basically adopting a “Yes, sir” attitude. I recall rounding with him on Pearl Bailey, Frank Sinatra’s father, and many New York titans. But he wasn’t mainly a doctor to the stars. He rounded on the “teaching service” regularly to help the residents with their toughest cases. He always stressed talking to the patient and taking a careful history, a talent that is in danger of evaporating these days. He would walk into the room, pull up a chair and sit next to the head of the bed to have an intimate conversation with the patient, while the house staff, med students and nurses crowded around at the foot. One time he asked me to accompany him; he was giving a lecture at St. Vincent’s Hospital in lower Manhattan. A “car” picked us up, and when we arrived, I walked into the auditorium of this Catholic hospital with him. There were nuns around and crosses on the walls. I was wearing my “whites” and on the jacket sleeve was the red Mt. Sinai emblem, complete with Hebrew writing. It was a bit ironic, and I felt like I was accompanying a great rabbi on a Papal visit. At Mt. 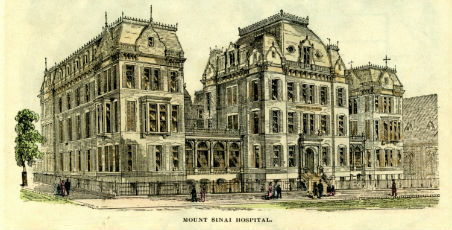 Sinai, a hospital created in 1852 to provide healthcare for immigrant Jews, the medical staff was mostly Jewish, although there were many exceptions. Jim Dove was a very Waspish kind of guy, but he went out of his way to become a resident there, and the other residents would always kid him about it. Jim eventually became president of the American College of Cardiology. I loved the jokes and the cultural references that were quite a change for me, coming from a med school where there were more Mormons than Jews. Both our sons were born at Sinai, and Eileen had a room in the “private” Guggenheim Pavilion where they gave her lobster. She didn’t want to leave. Charles Friedberg, MD was from an era when creative doctors at medical centers could do research and teaching, while still maintaining a private practice. It was hard to imagine how he found the time to write his book all by himself, and we used to speculate who might have secretly helped him, but we never could prove the point. One time he invited all the attendings and residents (and spouses) from the Cardiology Dept. to his elegant Fifth Avenue apartment which was spacious and grand. It had many rooms and even its own elevator. He and his wife were gracious hosts, and his library had a row of his books in multiple editions and in multiple languages. It was the art of medicine that distinguished Dr. Friedberg’s approach to patient care—something that you can’t get from a text book or a medical journal, and despite today’s emphasis on practice guidelines, physician assistants, controlled trials, and electronic medical records, doctors will not be as effective if they lose that special doctor-patient connection that has been handed down from Hippocrates to teachers like Dr. Friedberg. Let’s hope that the upstarts who are taking over healthcare get to appreciate that point. ADDENDUM: Woody in Hannah and her Sisters gets cured of a brain tumor at Mt. Sinai Hospital.